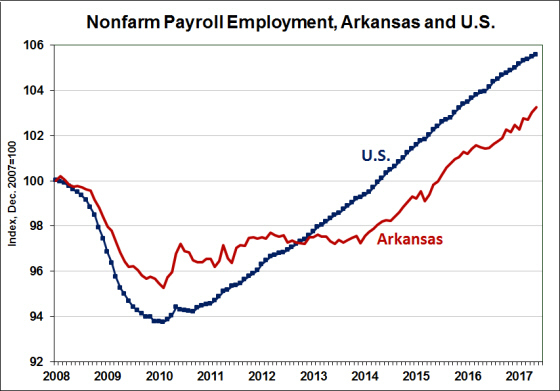 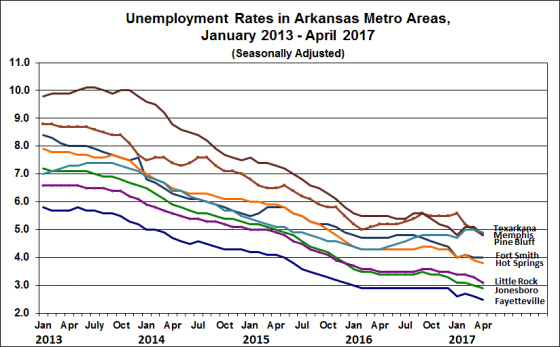 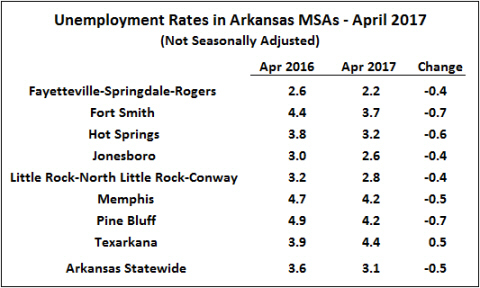 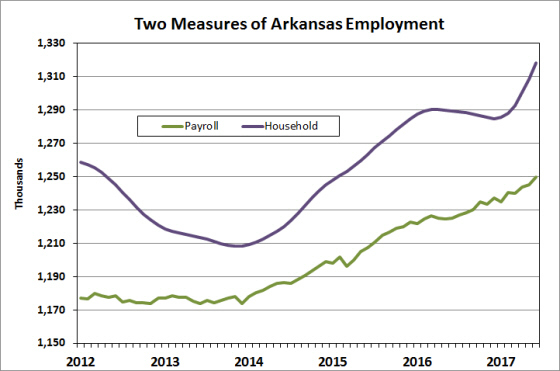 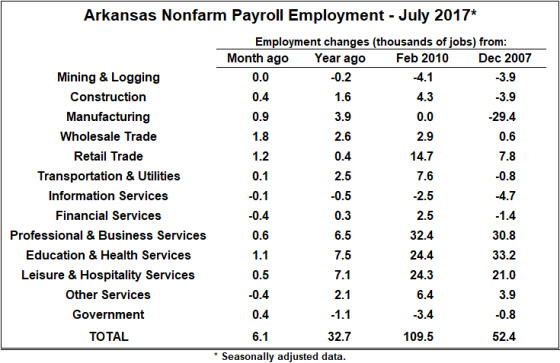 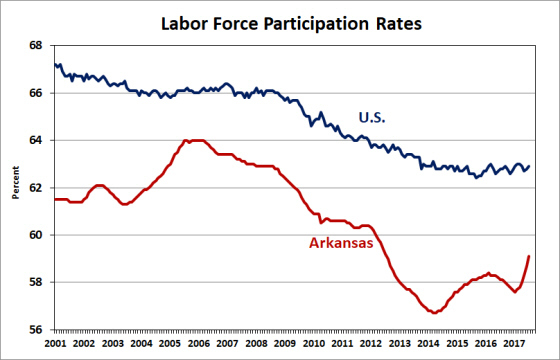 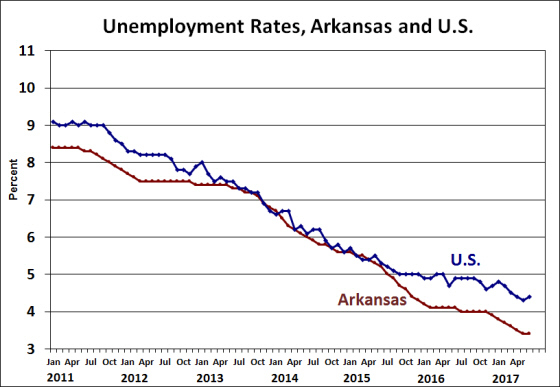 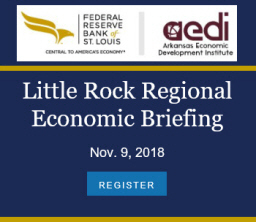 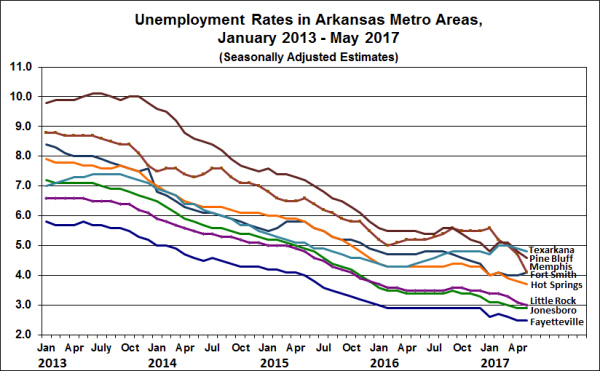 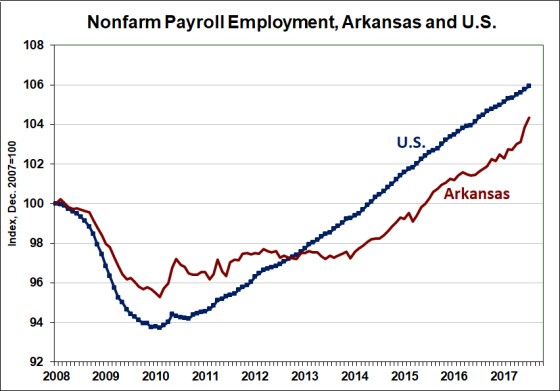 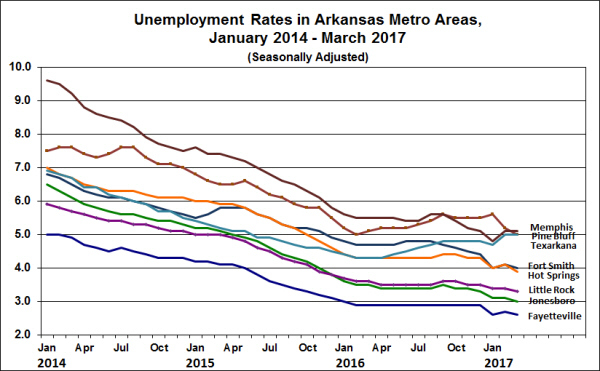 In the latest data on state employment and unemployment, the Bureau of Labor Statistics reports that the unemployment rate in Arkansas dropped by 0.1 percentage points to 3.5%, down from 3.6% in March. 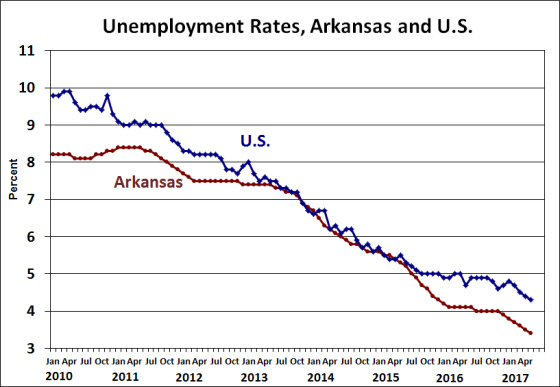 Coming off of what was a record low unemployment last month, the latest unemployment rate sets a new all-time record low. 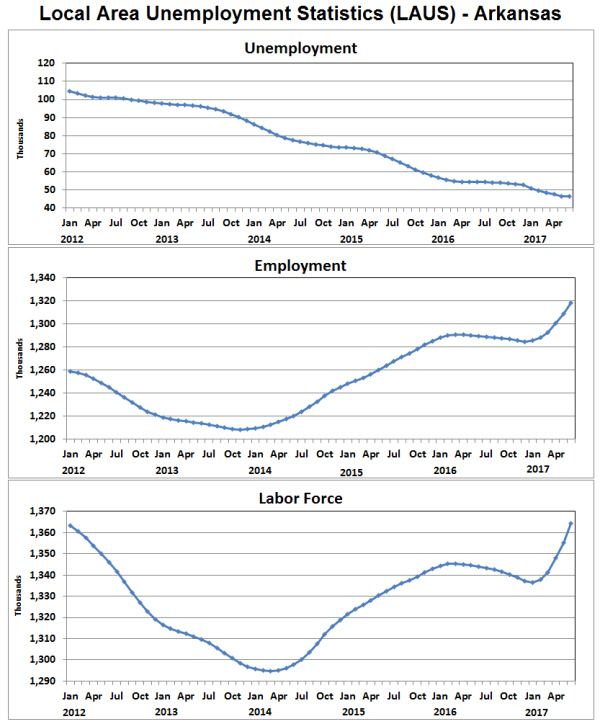 The U.S. unemployment rate also declined by 0.1 percentage points in April, declining to 4.4%. The number of unemployed declined by 911 and the number of employed increased by 7,693 in April. 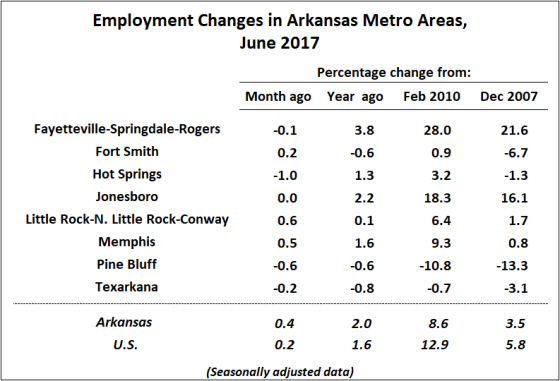 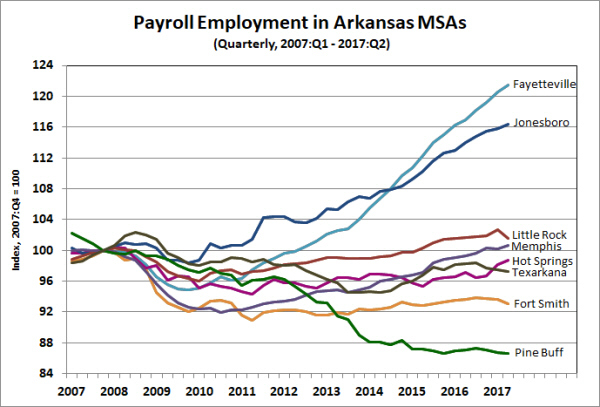 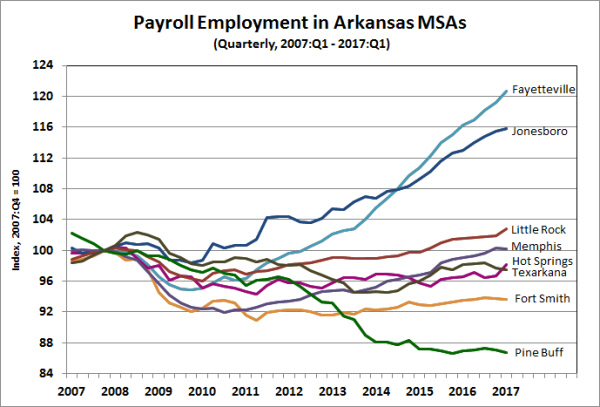 The number of employed Arkansans had been slowly declining through most of 2016, but has been increasing for the first four months of 2017. 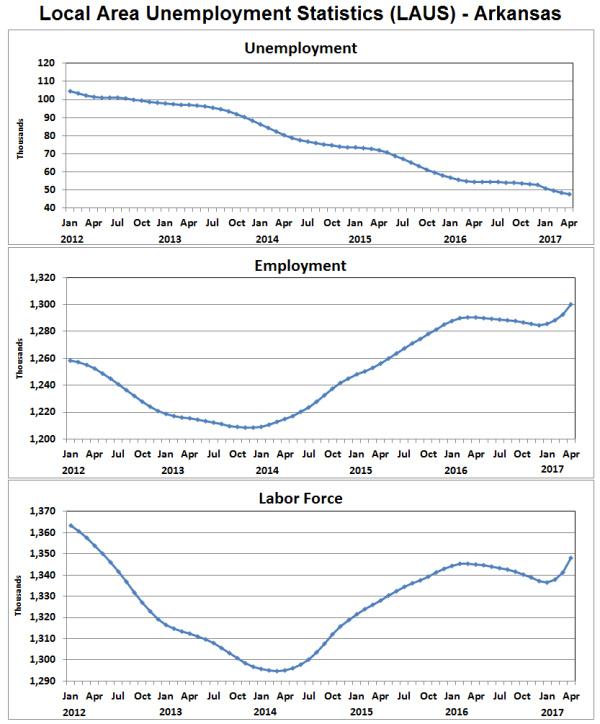 The labor force has also been expanding since January. Nonfarm payroll employment was up 3,100 in April (seasonally adjusted). 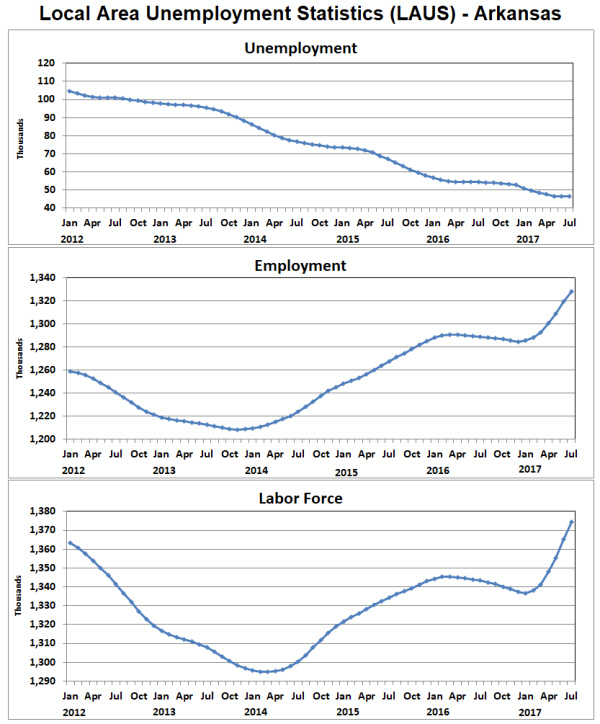 Goods producing sectors added 1,200 jobs, with welcome increases in both Manufacturing and Construction. 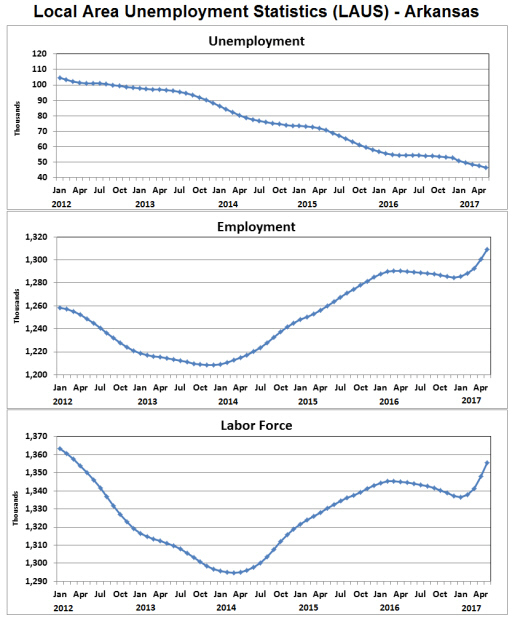 Employment in service-providing sectors was up 1,900, with the largest gains coming in the Leisure and Hospitality Services. Substantial increases were also reported in Transportation & Utilities, Professional & Business Services, and Education & Health Services. 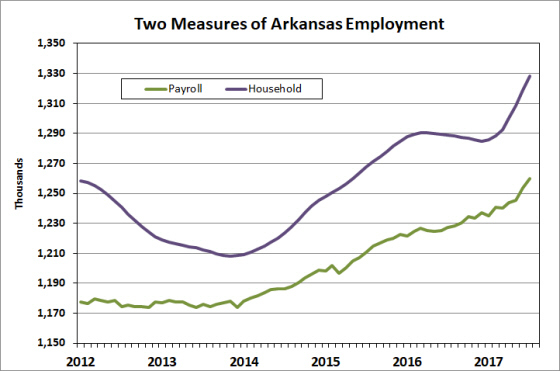 Compared to April of 2016, payroll employment is up 17,900, a gain of approximately 1.5%.